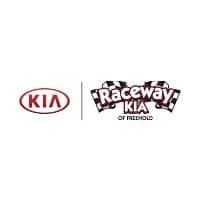 Whether you see it as a small crossover, a hatchback, or a wagon, a used Kia Soul offers athletic handling and commute-friendly comfort. No matter where you’re going, you’ll get there in style. What do you need to know before you test-drive a Soul? Check out our used buying guide to find out more about how these stylish crossovers have changed since their inception in 2010. 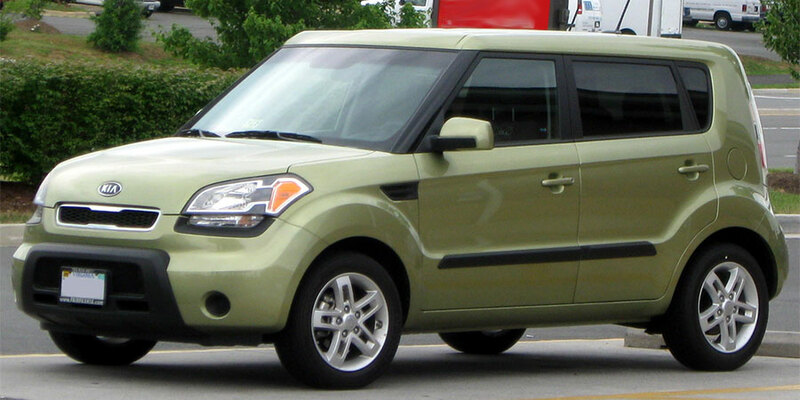 Comfort: With its distinct boxy design, the Kia Soul provides plenty of headroom. Throughout the cabin, you’ll also find plenty of leg room to go around, making the Soul an excellent fit for the office carpool. Extras, like heated and ventilated front seats, give the Soul an almost luxury vibe. Technology & Convenience: With the Soul’s UVO infotainment system, you can send hands-free texts or use voice recognition controls to reroute the navigation system. Apple CarPlay and Android Auto project smartphone apps onto your central touchscreen, so you can keep your eyes on the road. Safety: The Soul, with all the latest passenger protection gear, keeps you safe on the road. Advanced driver aids, like forward collision and lane departure warning, actively help you avoid danger. Performance: Under the hood, this crossover has plenty of power for merging and passing scenarios. Handling also impresses–the Soul might look boxy on the outside, but it swings around corners with ease. Comfort: No matter which Soul model you find on the used lot — base, Plus (+), Exclaim(! ), or Sport – you can count on a roomy cabin and supportive cushioning. As you move up through the trim levels, you’ll find increasing luxury and style in features like automatic climate control and two-tone upholstery. Technology & Convenience: Use Bluetooth connectivity to link your favorite device to the Soul’s central infotainment system. Perks like power-folding side mirrors help you get through the day with minimal stress. Safety: No matter which model year you select, you can count on anti-skid protection from anti-lock brakes and traction and stability control. 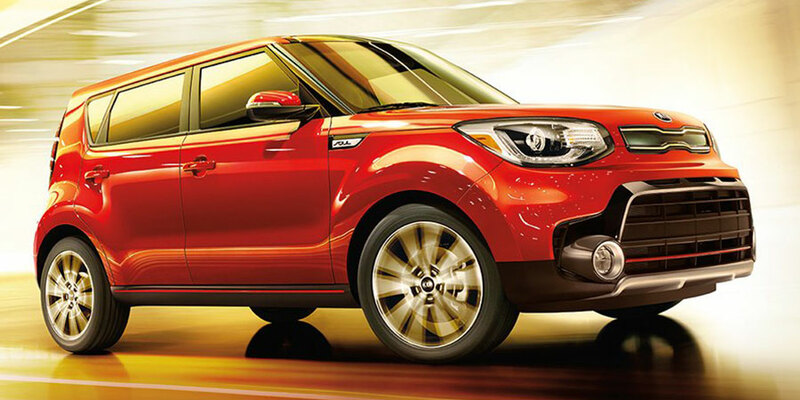 Performance: With impressive handling and a zippy powertrain, every kind of driver feels at home in the Kia Soul. Soul drivers can’t get enough of the Soul’s head and leg room. In addition to being a stylish pick for young drivers, the Soul doubles as a family-friendly road-trip cruiser. This crossover is also known for coming fully loaded with modern comfort and technology at an excellent price. Over the years, Kia has made a few changes to this distinctly stylish crossover. For the 2012 model year, Kia introduced more a powerful engine and revised the steering for an increasingly athletic performance. The 2014 Soul introduces higher-quality cabin materials and increased cargo capacity, so there’s no need to compromise when packing for road trips.